Text: Kenneth H. Rosen, Discrete Mathematics and its Applications, 7th edition. Note that the bookstore is selling a "custom edition" of this textbook (ISBN 1259152154) that contains only the chapters that we will be using. This may be less expensive than buying a new book. However, you may also be able to find a used version of the complete book at a low price. Either one is OK. Please be aware of our Departmental Academic Integrity Policy. 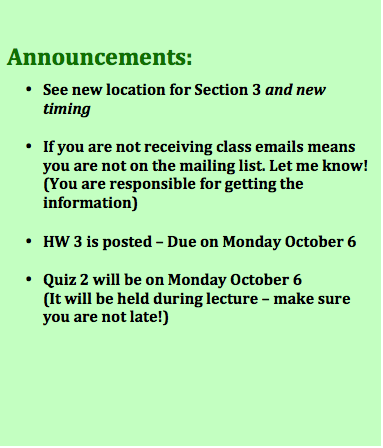 Click here to find out about the homework assignments. Click here to find out about what was covered in class and what you should be reading next.